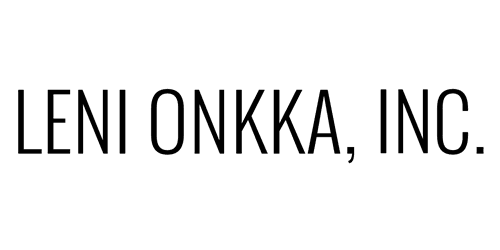 Booster Clearing Service - Leni Onkka, LLC. I'm Leni's daughter. I have been doing clearing work since age 14 and still in middle school. I have taken the Basic, Advanced and Spiritual Restructuring S.R.T. classes multiple times over the years. I am currently going to school to become a Licensed Therapist. I am also a Certified Life Coach, a Personal Assistant, a Nanny and I also do clearing work for my clients. In the beginning, I did extra work to clear me and my family. Eventually, I began to do clearing for clients that needed a boost or some extra support while they were traveling, studying for a test, getting married, grieving a family member or a pet. And now, I'm extending my available time for clearing clients. I will clear you each morning Monday through Friday. At the end of the week, I will email you a few notes to go over what I have cleared. You will need to send me an intention about what it is you'd like to have cleared during the week. I am an executive and this week I am traveling to London to meet with the local people that make one of our company products. Please clear my travel. I am leaving from LAX, to NYC, I will spend one night there at an airport Hotel. I fly from NYC to London and take a rental car to Filey. I will stay in a local Hotel for 5 nights and return on Friday evening via the same route. Please clear my meetings to create a good connection with my manufacturing team. Please clear me I have been in the Hospital for 2 weeks with pneumonia, I am currently getting a divorce, clear between me, my husband, my 6 kids, their spouses and children, they are extremely angry with me because they believe I am the problem. I need you to clear my business. I'm going to a trade show for a week in Las Vegas, clear my trip, my booth, my success and for me to make even more money with my business. Please clear my 12 employees. I am being audited by my husband's Attorney, clear the audit. Also, my new boyfriend is struggling with alcoholism and I need you to clear him while he's in his 30 day program. Clear my house, clear for me to eat healthy, clear for me to stay hydrated and for me to lose 20 pounds by next month.